If you are looking for senior help for your loved one, or even more in depth home health care, Value Care will find quality caregivers to fit your needs. 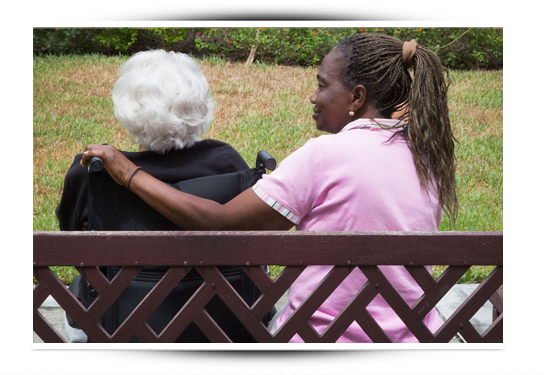 We have been offering caregiver referral services to our clients since 2007. At Value Care we believe people in need of in-home professional senior help should be able to Pay Less and Get More Care! We refer caregivers at lower costs, and our clients save 25% or more off average industry prices for home care help when working with us. Whether you or someone you love are in need of around the clock help, help at home a few times a week, or anything in between, we will find the right helper for you. During our Free Consultation we can determine what your schedule and specific care needs are so we can confidently refer the right helper for you. These professionals are referred according to our Care Match Program and backed by our First Day Satisfaction GUARANTEE. You can rest assured that the positive experiences our past clients have had will apply to you as well. Consider Us for our proven ability to refer better senior help to our clients across Florida. We extensively screen each caregiver who wishes to register with us. Aside from state required screening and background checks, we also use our own special screening procedures which we call our FIVE STAR PROMISE. At least one year of experience in-home health care. Great references in the home health care industry. The ability to pass written competency tests. The ability to pass verbal competency tests. Experience and proficiency with client transfer techniques.